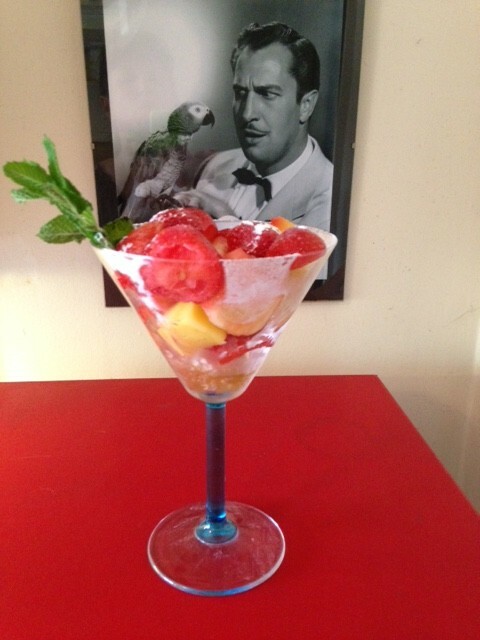 Joan’s directions for this recipe were to put a tablespoon of mint ice in the bottom of a tall stemmed glass before adding strawberries and pineapple and dusting with powdered / icing sugar. I wasn’t sure what she meant by mint ice so I froze some mint tea in an ice cube tray and then had fun mashing it up in my hand driven ice crusher! 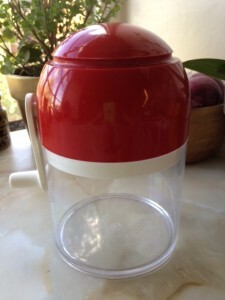 I really love my ice crusher. I think it cost me about £5 from The Poop Deck on Mersea Island. 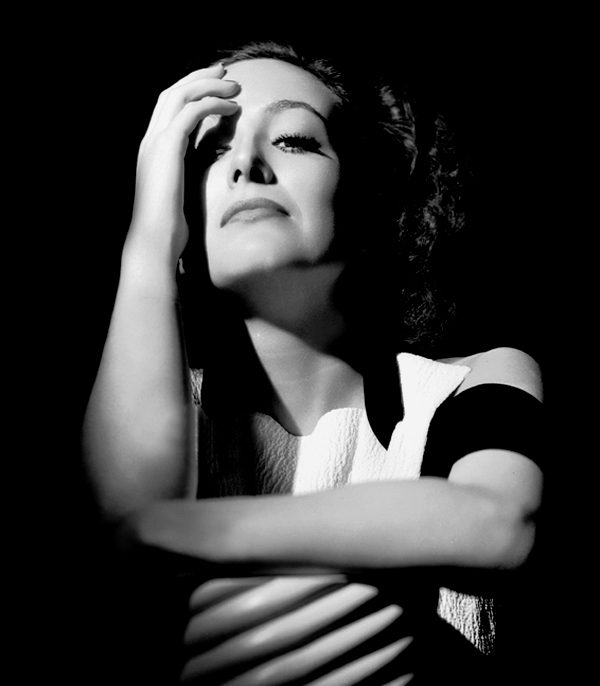 It’s going to be working overtime over the next couple of weeks with Halloween and the Joan Crawford Virtual Reality Dinner Party fast approaching. EEK!